With the fear global warming taking over the minds of Americans everywhere, it’s no wonder that bicycles have gone through a renaissance in the last decade. True to form, the bike renaissance comes with a lot of innovations to make our old two-wheeled cycles safer, faster and cooler than ever. Some of these bikes are really futuristic advances, while others are just plain cool, whichever you prefer, there’s plenty to see here. Why Strain When You Can Relax Under the Sun? The Cycle Sol prototype may look a little strange, but its solar-charged battery makes it an inspiring piece of machinery. Soaking up the sun help to charge the battery, which can help push the bike to speeds up to 15 MPH. Its greatest attribute though may be the convenient push you’ll feel when tackling tedious hills. Also a plus, if it is left in the garage or used on a cloudy day, you can still plug it into an outlet to get the full battery charge you need to get moving. 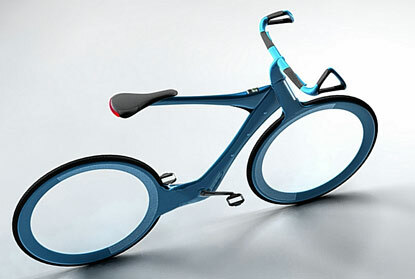 Talk about a bike of the future. This stream-lined prototype incorporates an on-board computer that can help count the calories you burn, play music and serve as an unbreakable lock. It was designed by Gold Medalist Chris Boardman, who believes his creation could be an everyday product within the next twenty years. 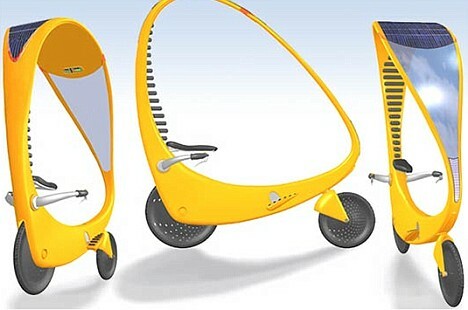 Similar to the Cycle Sol, this bike will also have a solar-powered battery to help you out when you’re tired of pedaling. If you’re wondering how a bike computer could incorporate an unbreakable lock, it’s all through the magic of fingerprint identification. Of course, if the bikes are considered valuable enough, then you may run the risk of losing your digit all together when some really motivated thieves approach you –a fate that has already befallen one iPad user. Is the Shweeb the Next Schwinn? If the classic bicycle design of two wheels in line with your body is just too outdated for you, then perhaps the Di-Cycle’s two side wheels are more your style. Perhaps the coolest advantage of the Di-Cycle though is its ability to operate on both land and water. The Hyperbike may not ride on water like the Dicycle does, but its massive side wheels are instead designed to help protect you in the event of an accident. 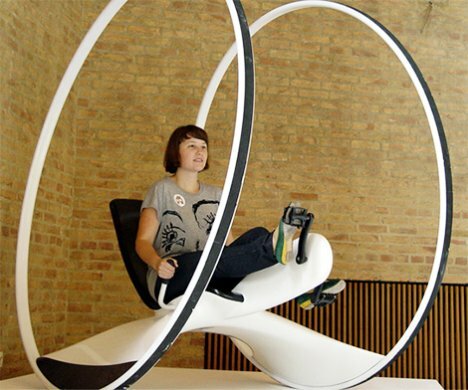 Also nice, its design, which includes both feet and hand pedals allows you to travel at speeds up to 50 MPH. Why Snowboard When You Can Bike Sideways? On the other hand, if you’d prefer to sit on your bike sideways while it moves to the front, then perhaps the Sideways Bike is more to your liking. Inspired by snowboarding, this one allows you to sit and pedal while facing sideways and then to look to your left or right while steering. 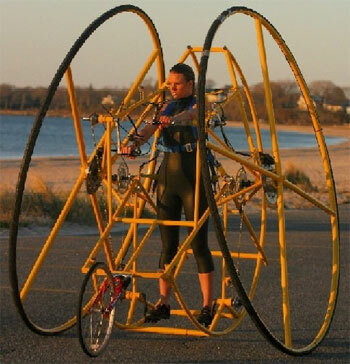 I’d be terrified to ride this next to the road, but maybe that’s just me. If money is your main concern, then this handy $30 bicycle might be more in your price range. It’s cool, it’s collapsible, it’s recyclable, and not to worry, it is water proof. The inventor claims that one of the biggest advantages though is the fact that it will probably not get stolen. On the downside, it doesn’t go very fast and if you bike regularly, you’ll need to replace it every six months or so. 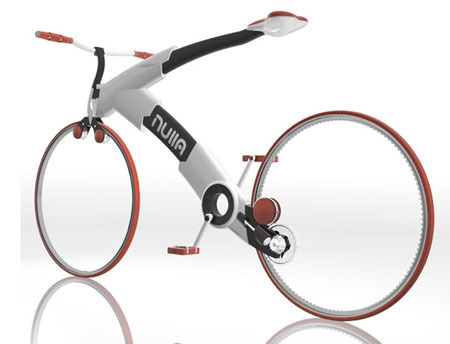 When you’re looking for something a little more flashy, but just as bare-boned as a cardboard bike, the Nulla minimalist bike is a great choice. It’s spokeless, stylish and light, as it is stripped of all non-essential components. The name Nulla even translates to “nothing” in Italian, which means it’s also a perfect ride for any existentialists out there. 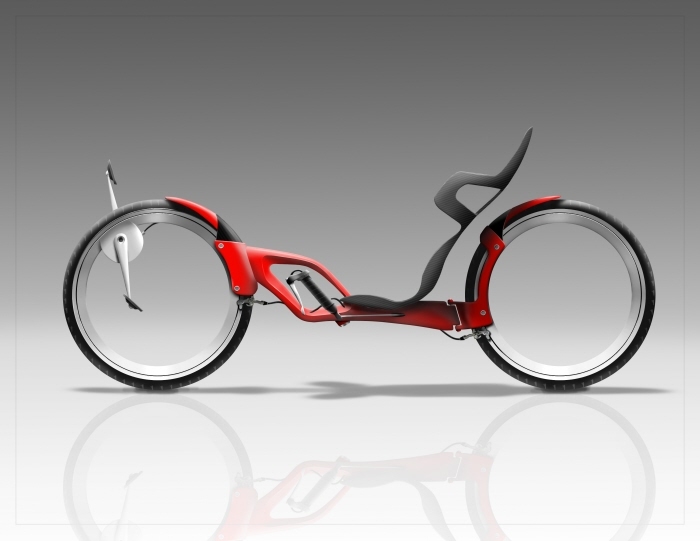 Minimalists who prefer recumbent cycles are likely to find this spokeless cycle, created by designer Mathew Zurlinden, to offer many of the same advantages as the Nulla, only with the critical difference in the rider’s body position. 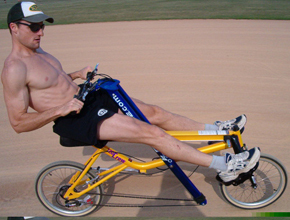 If you were on your college rowing team or if you are simply much more muscular on the top half of your body, then why not row your bike home? 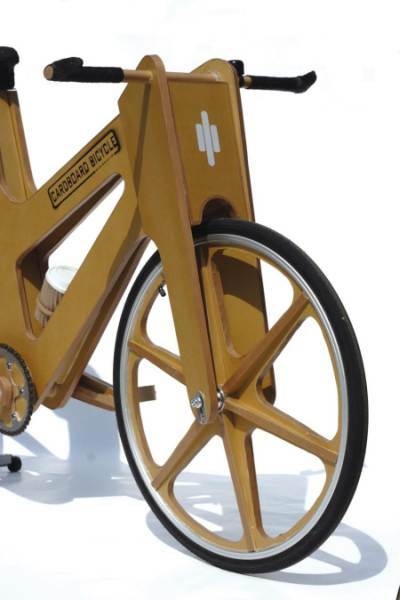 Unlike a regular bicycle, even a standard hand-operated bike, this one is not powered by rotating pedals, but instead through pushing and pulling the handle bars. Using it can burn up to 850 calories per hour and it’s supposedly easier on your joints than a standard bike. Now it’s your turn readers. I’m sure many of you have seen some cool and crazy bikes in your time. Feel free to share them in the comments. Also, which of these designs would you prefer? Those are some pretty cool bikes. too bad they don't sell any in a regular bike store and a cheap price. "With the fear global warming taking over the minds of Americans everywhere..."? What world do you live in? Our climate has been cooling for quite a while now and global warming has been thouroughly debunked. Furthermore, these bicycle designs are mostly useless conceptual exercises that don't improve on the tried and true traditional bicycle design. Toys for the rich? Our lazy news providers need to get off their butts and screen the items they are presenting to us as news. Cool designs, but none of them seem to be suitable for frolicking in the forest...or dealing with the inevitable gravel road, ripped up for repaving street, etc. The Schweeb is more like an amusement park ride, and I want a spin on it. But not after "Bruno the Bean-Eating Wonder" just got out of it. "The Coolest Bikes on Two (Or More) Wheels"